Public lands played a central theme in last year’s special congressional race between Rep. Greg Gianforte and Rob Quist, and it’s likely to reemerge as the general election nears in November. Kathleen Williams, the Democrat challenging Gianforte for the state’s only seat in the House, will spend a day in Missoula this week gathering input on the Republican lawmaker’s two bills to release 29 wilderness study areas across the state. The fact that Gianforte hasn’t held any listening sessions in Missoula on the issue – or anywhere else in Montana, according to critics of his legislation – hasn’t gone unnoticed. In a June hearing before the House Committee on Natural Resources, Gianforte maintained his position that the 29 Wilderness Study Areas included in his bills were deemed unsuitable as wilderness more than 30 years ago. Gianforte said it was time to release the WSAs to local management. But opponents of Gianforte’s legislation contend that no public hearings were held before he introduced his bills. Tracy Stone-Manning, the associate vice president for public lands with the National Wildlife Federation, stands among the critics. 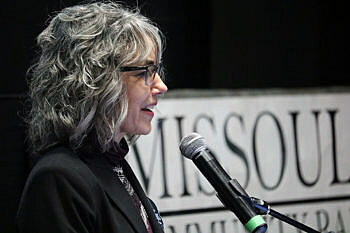 Williams said her roundtable discussion in Missoula is an attempt to generate conversation on the topic. 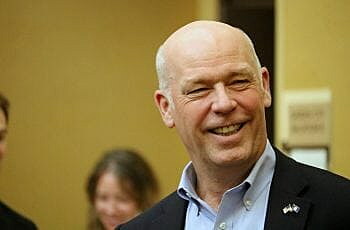 Gianforte’s bills include the Unlocking Public Lands Act, which states that 24 WSAs in Montana “have been adequately studied for wideness designation,” setting them up for release. The other, dubbed the Protect Public Use of Public Lands Act, calls for the release of five WSAs that have also been adequately studied. Together, the two bills would remove wilderness study designation from 800,000 acres in Montana. But Williams said several WSAs, including two on the Lewis and Clark National Forest, are going through a public process in the forest plan revision. It would be disingenuous, she said, for Congress to usurp that process with legislation. “People are participating in good faith to make recommendations on them in a forest plan revision process here in Montana, and it seems counter-productive and not very respectful of those who are participating to do something in Congress related to them,” Williams said. Williams will hold a roundtable at the Student Center at the University of Montana on Wednesday, Aug. 15. The talk will take place in room 330 from 10:30 to noon.